For many around the world, Christmas is a time for family and friends, but those who have nobody to spend it with can quickly feel isolated. Their predicament has inspired numerous initiatives: often by groups who themselves have experienced exclusion. 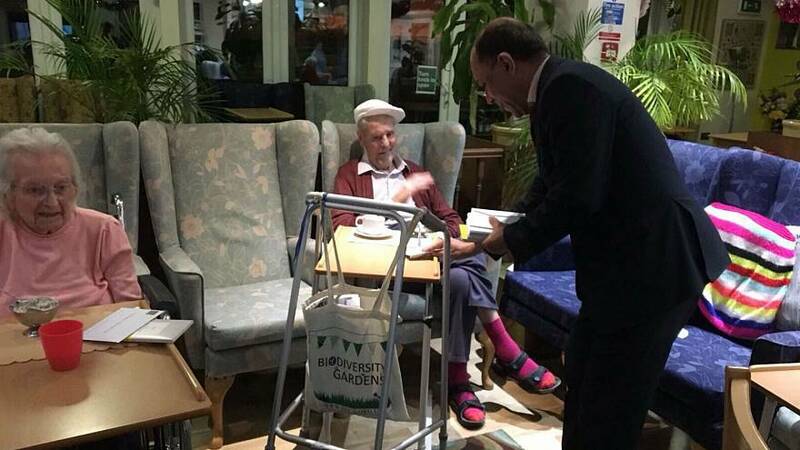 In the UK, a Muslim group has launched its seasonal drive to bring festive cheer to the elderly and lonely. 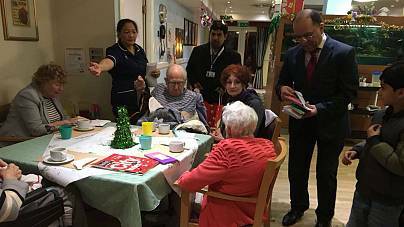 The Ahmadiyya Muslim Youth Association (AMYA) is carrying out more than 2,000 visits to hospices and care homes to spend time with people who would otherwise be on their own. A free taxi service to the elderly on Christmas Day is one means by which AMYA in Yorkshire is helping to prevent exclusion. In some areas AMYA plans to go into homeless shelters to cook hot meals and deliver gift packages. It's hoping to beat last year’s record of feeding over 1,600 people, donating 336kg of food and 100kg of clothing, and visiting 1,500 isolated adults. Dr Ijazur Rehman, President of the Admadiyya Muslim Elders Association UK told euronews that "With so much suffering in society we must make every effort possible to help everyone - this is what our faith teaches us and this is what we seek to put into practice." Pupils of the Grange School in Manchester in the UK, which has over 130 pupils on the autistic spectrum, enjoy cooking lunches for the local daycare centre for the elderly, and this year prepared a Christmas meal to be served at the the Gorton Day Centre. They use ingredients provided by FareShare, which aims to reduce food waste by restributing unwanted items to people in need. The elderly people they cook for love the company, and the act of providing brings many of the pupils out of their shells. In France, the Secours Populaire introduced the concept of a green Father Christmas. He collects books, toys and food parcels, which he distributes to families in poverty, or other need, bringing a bit of Christmas cheer where otherwise there would be none. Arriving as a refugree in a new country can be a frightening and potentially isolating experience. In Germany, where the influx of refugees has been very high, many people have decided to spend less on Christmas presents for their friends and family, and instead to contribute to initiatives, such as "Christmas in a shoe box", whereby child refugees at the Ermekeilkaserne refugee shelter are each given a present to unwrap.